Elliott Wave Technology. Automated Trading and Investment Strategies: CAT to Follow Crude to $40.00? 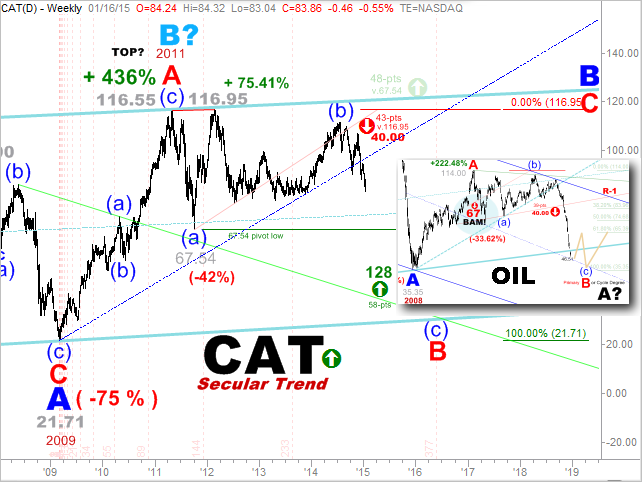 CAT to Follow Crude to $40.00? 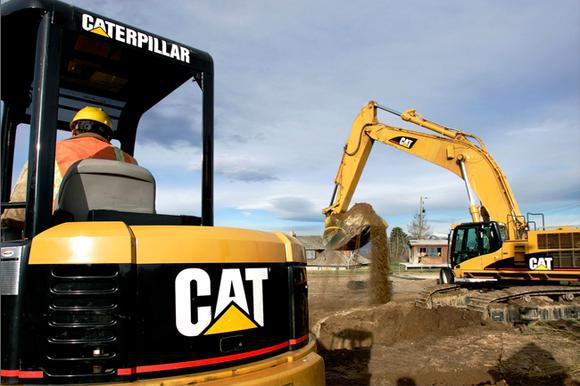 Is it reasonable to assume that so goes Crude Oil, so goes Caterpillar? Perhaps it is, or perhaps not, but the price charts of these two economic giants do show a fair degree of correlation. Some Motley Fools I know think there may be some fundamental correlations as well. Interestingly, both properties share downside price targets of $40.00 dollars. The major difference is that Crude is very much leading the way with a recent print low of $44.78 per barrel, which is not too far from our technical target. In striking contrast, CAT’s recent print low of $83.04 still harbors the potential for enduring another 50% of downside to meet a similar fate. The historic record of rises and chops from their respective 2008-2009 print lows is rather stunning but not too surprising considering the effect that massive interventions tend to have in lifting all boats in general tandem. That both instruments project downside price targets of $40.00 dollars, is rather eerie to that the least. In closing, only time will tell whether the crash in Crude Oil foresaw a similar crash in Caterpillar from which astute traders and investors capitalized on handsomely.